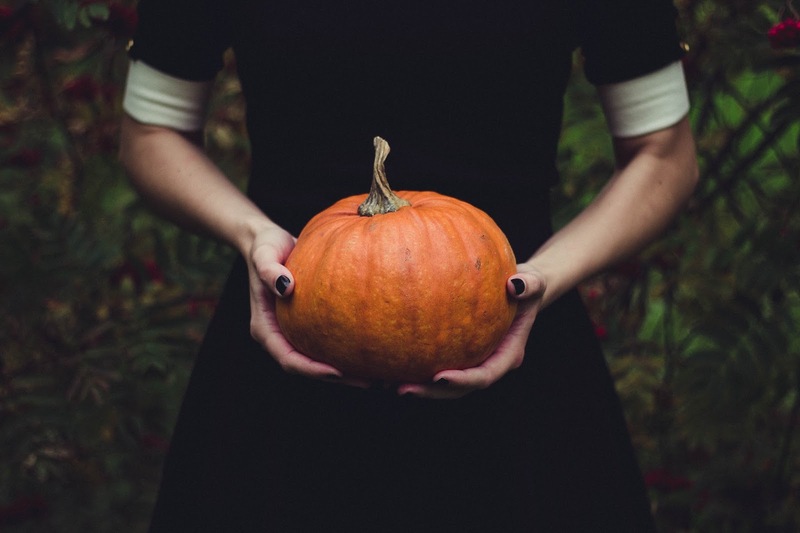 How to Make Your Halloween Cruelty-Free, Vegan…..and Spooky! I don’t know if it’s the same for you but when this month rolls around every year I get excited for one of my favorite holidays….Halloween! The chance to be someone else for a little while, be able to get some candy, and possibly scare some people just sounds so fun! So I wanted to be able to help you prepare for this extra cool holiday by listing some ways that you can make sure the fun that you are having is entirely cruelty-free. There are quite a few vegan options for treats…but unfortunately quite a few tricks too. Here are a few good options of candy that you can get, and give out on the spookiest night of the year! Thankfully this is not an exhaustive list, and there are more items that you can find that are vegan, but I thought that these were pretty popular. You also have the option to make your own treats, and that list is even longer! I have found recipes for apple and pumpkin spice treats, as well as different recipes for spooky treats that are perfect for your next Halloween party. Some of these I think that I just might make myself for a little Halloween party I am thinking of having this year! So yummy and spooky all at the same time! There are two ways that this is true; one is that you make sure that your costume is vegan-friendly. The other is you can actually wear a vegan-themed costume, to make talking to people about living cruelty-free even easier! Creamy White Makeup: For that perfect ghost or vampire look, Manic Panic and Obsessive Compulsive Cosmetics offer creamy white makeup. Bright Makeup: For face paints, Monave offers two vegan palettes. For colorful lips, check out brands such as Lime Crime, Obsessive Compulsive Cosmetics, and Manic Panic. For eyeshadows and other pigments, try Lime Crime, Manic Panic, Obsessive Compulsive Cosmetics, Pink Quartz Minerals, and Cheeky Cosmetics. Black Lipstick: Zosimos Botanicals has a gentle option in a shade called Onyx. Many brands that specialize in colorful lipsticks also offer blacks. Check out Lime Crime, Obsessive Compulsive Cosmetics, and Manic Panic. Bright Hair Colors: Manic Panic offers vibrant hair colors, clip-in strips, and even wigs. Finally, I found some neat ideas for great vegan costumes too, so that you can get people talking about the benefits of veganism, and have a little tongue in cheek fun as well! Check back next Wednesday 10/18 for more about vegan Halloween candy, and I hope you found this helpful! Thanks for the tips. Shopping for cruelty free items is really important to me. This takes out the guess work. These costumes are amazing. And thank you for the list of make up. It's hard to find cruelty free options. I will definitely look into them. Halloween is my favorite holiday! I had no idea there were so many options for cruelty-free candy. Yay for vegan candy! I have the worst sweet tooth so it's good to know what I can have without feeling guilty. 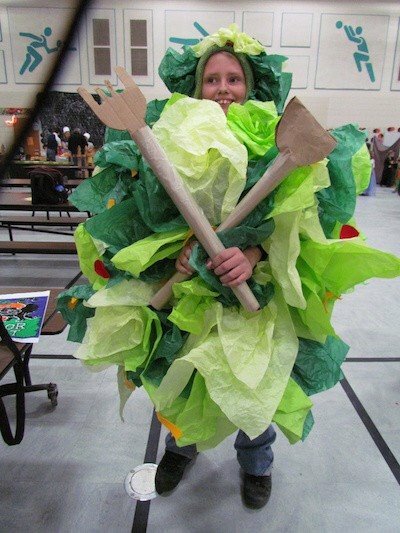 I love that salad costume, super fun and a great way to get people talking! This looks like a great list that most vegan would appreciaate. 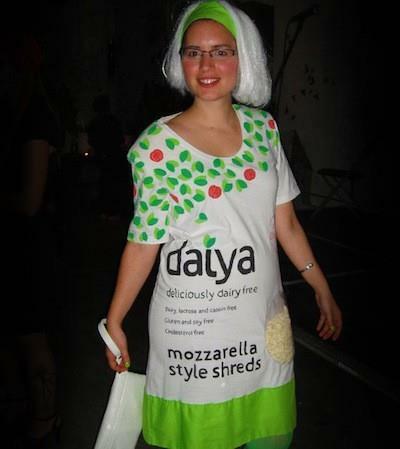 Honestly, I didn't know they have vegan costume but I think the daiya cheese dress is cute. Love it. I wouldn't have thought about being Mac n' Cheese or a salad.